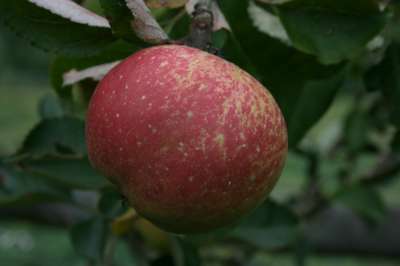 One of the most famous and sought after of the many 'Pearmains', First recorded in 1893 but very difficult to obtain now. Always known as one of the most excitingly flavoured varieties, the partly russetted, circular, moderately sized fruits have a deep, rich flavour which makes storage of the fruits a severe test of willpower! For harvesting early October and eating November-January, this variety is appropriately, probably at its very best around Christmas time.